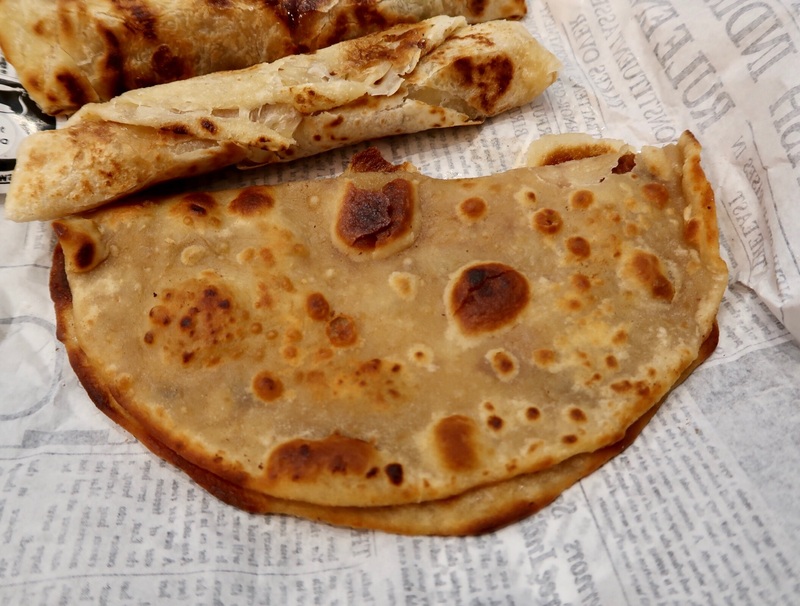 Round rotis… the ultimate test for any Asian female! This is something that I haven’t quite achieved yet (apologies future husband)! I remember the days when I was little and my grandma would teach my aunty how to make the perfect round roti. While she was having lessons, I’d get a bit of dough all for myself and I’d make my very own unique and weirdly shaped rotis! My aunty would then cook it for me, slather on some ghee and a very generous sprinkling of sugar. It was my FAVOURITE. 17 years later, sugar and roti is still one of my guilty pleasures. 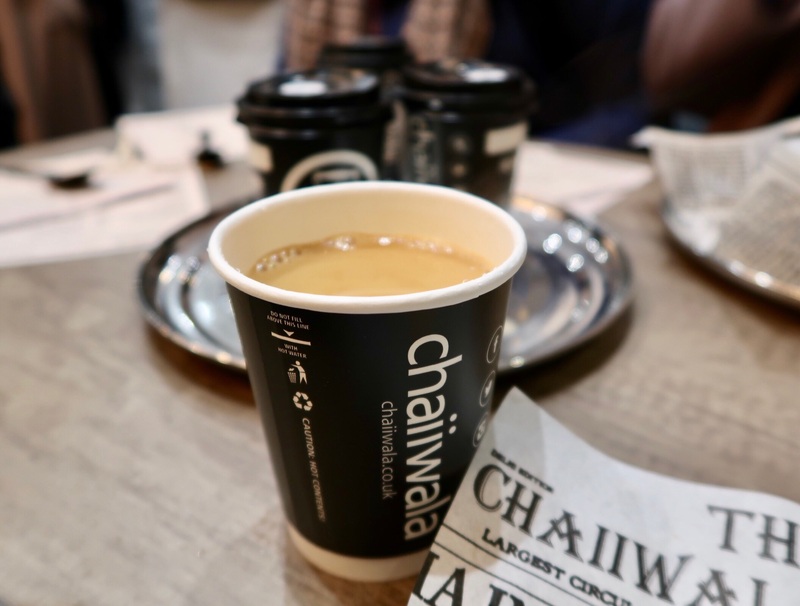 So when I found out that ChaiiWala, a very famous cafe from Leicester was opening up their first branch in London, and were serving sweet rotis/parathas and karak chai… I had to make a trip there ASAP! 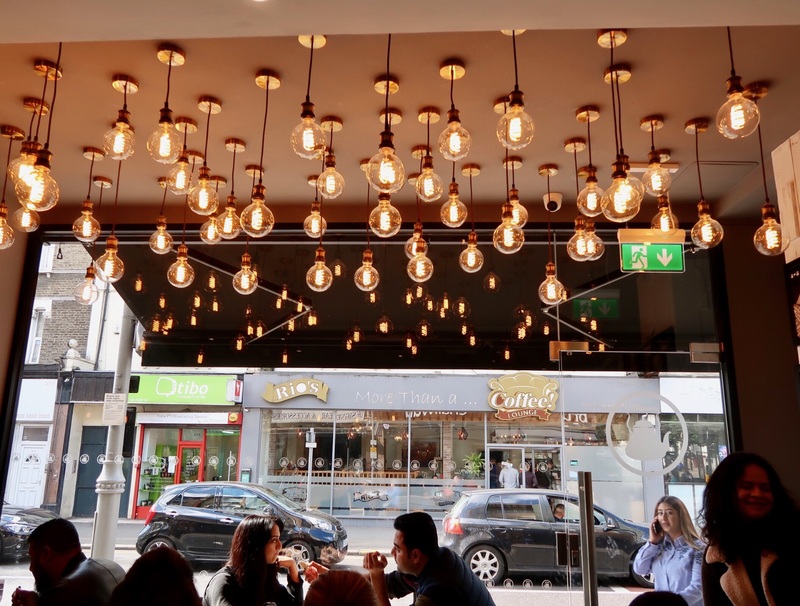 Chaiiwala opened its doors this Wednesday and is situated in Walthamstow. I went yesterday and it was already jamming and packed with people. Pretty impressive! 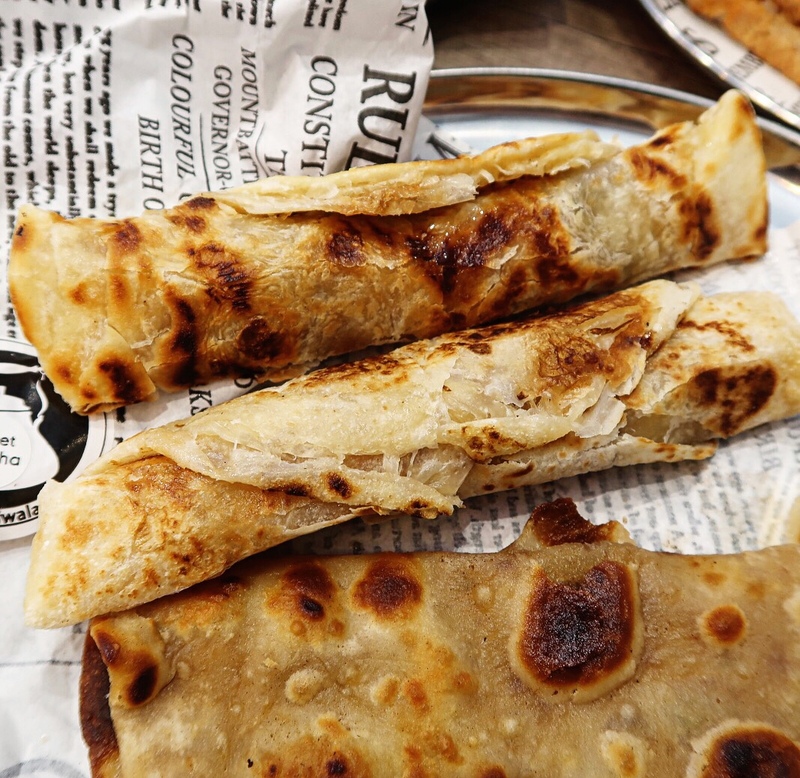 They have quite a large menu consisting of various chais, breakfast options, rotis, street food and desserts! After a long debate, this is what we ordered…. Of course I had to try this! It was flaky and delicious and definitely fulfilled my cravings, however it would have been better if it was more buttery! 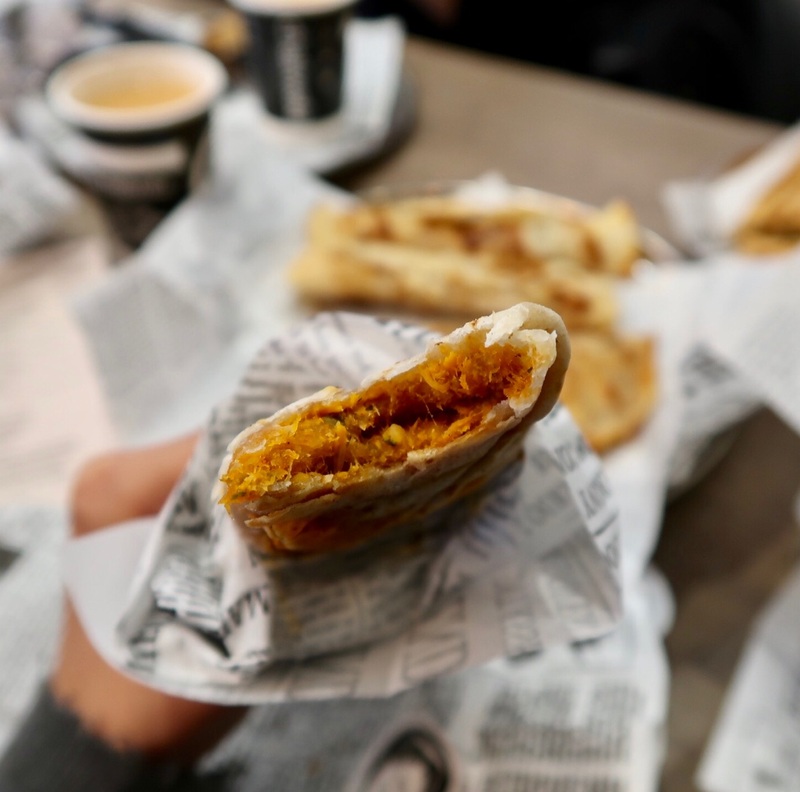 For those of you who aren’t familiar with tareli roti, its a crunchy fried roti and is a family favourite for breakfast! My mum and grandma both enjoyed theirs! 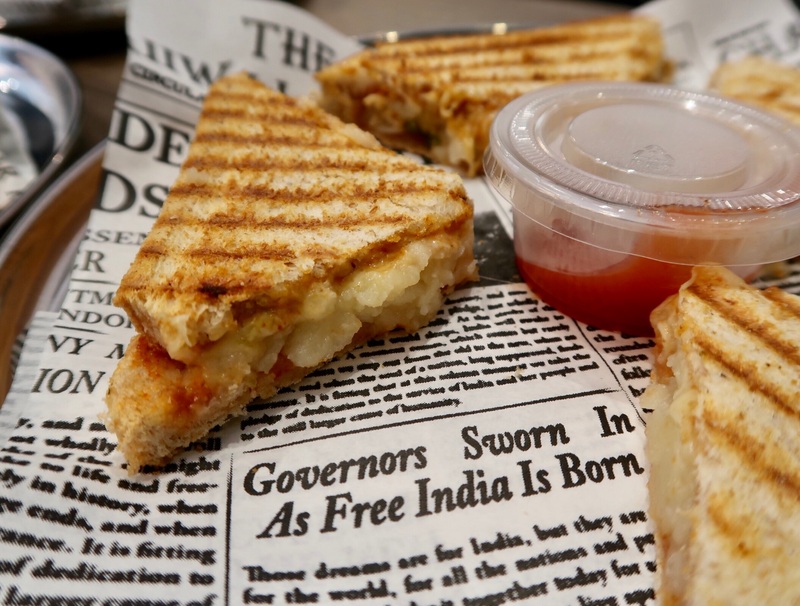 This sandwich is filled with warm potato, coriander-mint chutney and a slather of their special masala. It tasted very homely and was enjoyable, but I felt that it was quite bland and more chutney/masala was needed to give it some extra oomph. 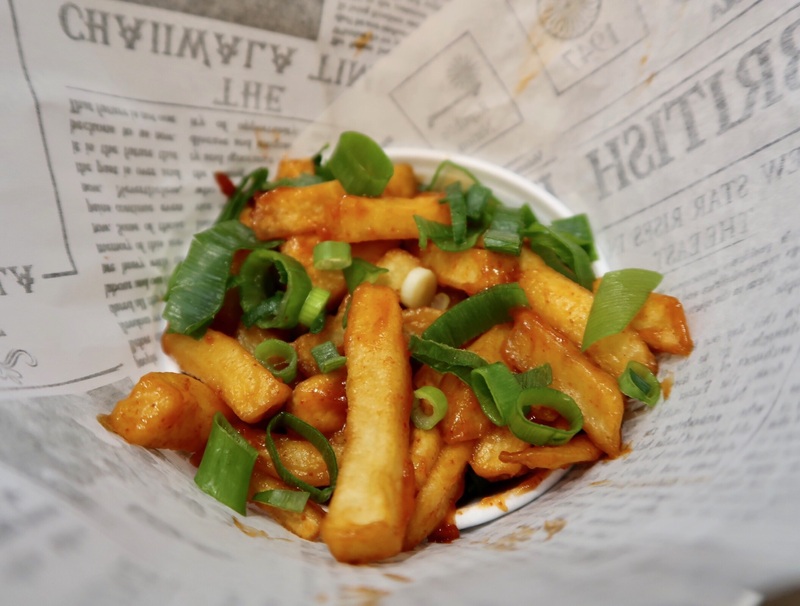 These chips were delicious and reminded me of the epic masala chips you get in South Africa! They were a bit soggy (just like they should be) and had a bit of a tang. I liked the addition of spring onions because I haven’t had this on my chips before. If I’m being extra picky it would have been great if it was a tad spicy! This was a bit disappointing for me as the chicken was quite dry and it lacked that usual creamy butter chicken flavour. However, I still finished it and it wasn’t bad (just not what I hoped for)! The karak chai here was excellent and is definitely one of my favourites. 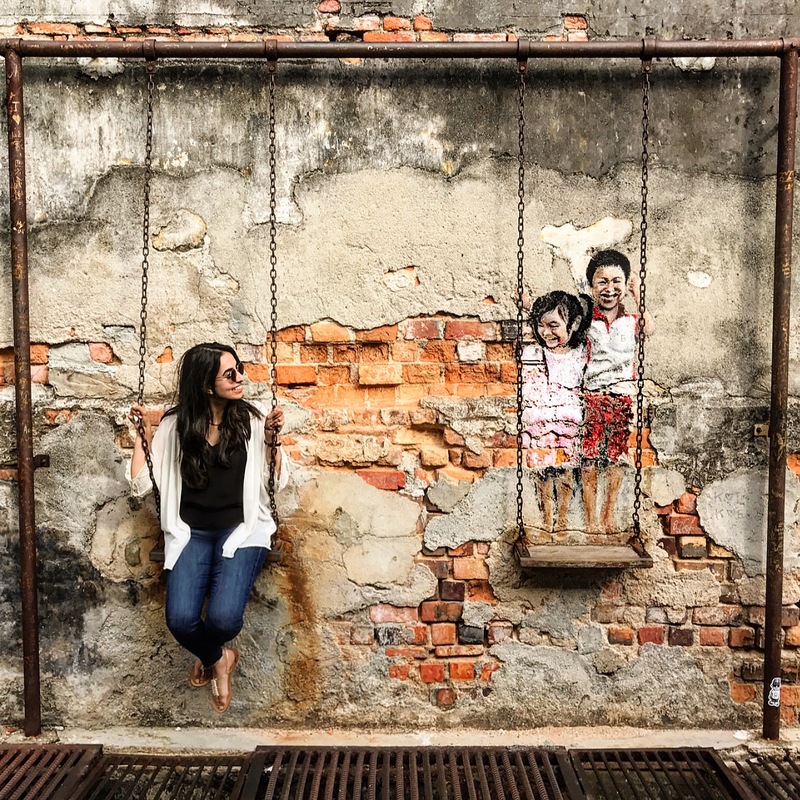 It’s sweet which I love and you can also opt for different variations such as karak with cinnamon, mint or saffron; the latter being my personal fave! 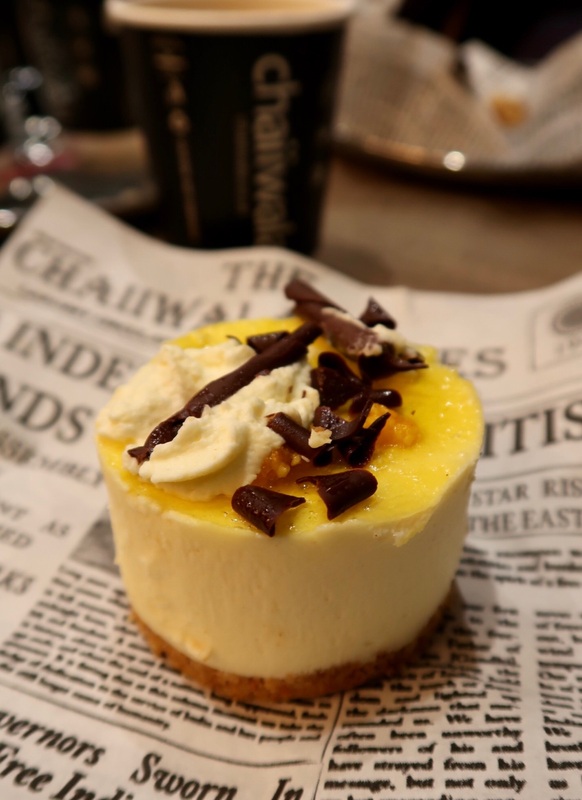 I was excited about this but unfortunately it just tasted like a vanilla cheesecake! They have another dessert option – chocolate chai mousse. I’ll give that a try next time! Overall the bill amounted to around £4-5pp. 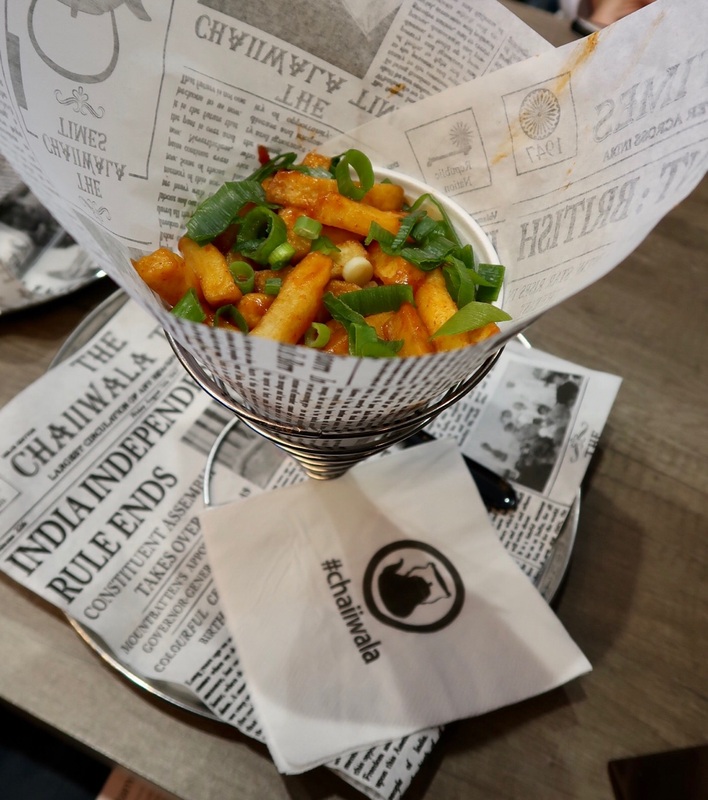 The food at Chaiiwala isn’t perfect, however if you’re just coming for chai and roti (and don’t forget the masala chips) then I think it’s great. Service was a little slow however they just opened and are already super busy so it’s understandable. 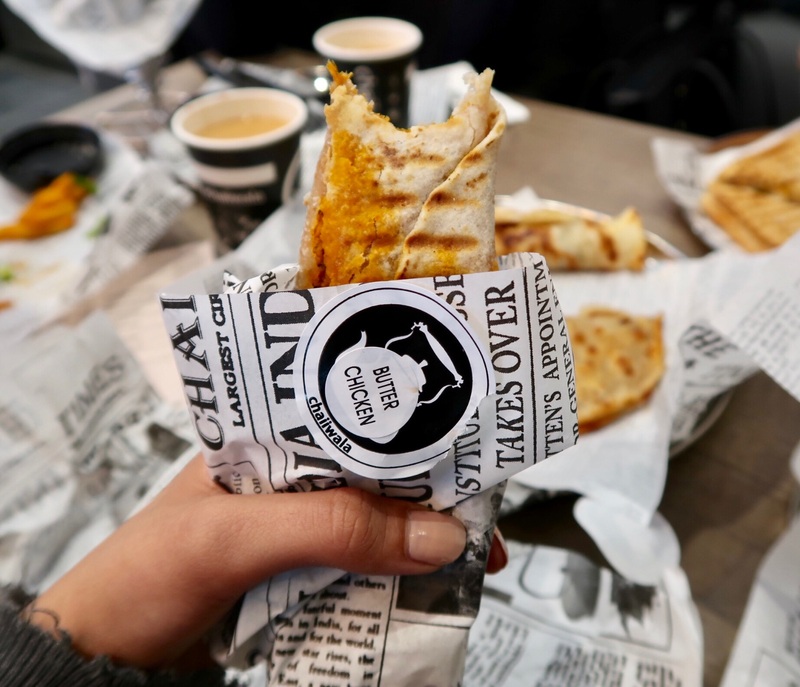 I’m really happy Chaiiwala has opened up in London and I can’t wait to visit again!